As one of the cheapest handsets in Sony Ericsson's Walkman range, the W302 may not have all those delicious little extras so beloved of today's high-end mobiles, but it serves up a satisfying portion of the basics, and a little bit more. It's a stylishly slim little number, for a start, just 10.5mm thick and tipping the scales at 78g, so no unsightly bulges. The screen is clear and bright with 262,000 colours and despite a resolution of just 220x176 pixels you never get the feeling you've been short-changed (not that you're going to be watching DivX movies on it or anything of the sort). The cramped keyboard actually feels much better than it looks. It's an ergonomic marvel since despite the tiny buttons, clever shaping and spacing means that it's always easy to find your way around (though you'll need to use the tip of your thumb). The Walkman music player is what this phone is all about of course, and despite knocking off a few luxuries, it doesn't disappoint. It behaves and sounds very much like the more expensive Walkmans, albeit without the higher spec headphones you get with the W595 or W902. Which doesn't mean they're bad – they offer a reasonably convincing and controlled soundstage, though they're a bit lacking in bass. If you feel the need to upgrade them, as usual for Walkman mobiles, the phone comes with a standard 3.5mm headphone jack adaptor which plugs into the regular Sony Ericsson multi-connector charging port. The shake control from the W302's big brothers is missing (not that we felt the loss of this gimmicky accessory) as is the SensMe search function based on what mood you're in, but more useful is the five-band graphic equaliser which can be adjusted manually or using one of the ten preset levels. The rather marvellous TrackID feature is also present, which allows you to identify mystery tracks your hear around you or on the W302's FM radio (or any other sound source come to that). With only 20MB of memory on board you'll need the 512MB Memory Stick Micro card that comes with it, though you can expand this up to 4GB. There are only nine presets on the radio and no automatic search. You'll need to scroll through the frequencies manually to find stations – this was really the only point at which we felt let down by the music content of the Sony Ericsson W302. The 2 megapixel camera won't win any awards, but it's better than many others we've tried with a similar spec. It's very quick to get into via the shutter button on the side (less than two seconds) and offers a reasonable set of options, including a picture resolution up to 1600x1200 pixels, a 2.5x digital zoom, timer (5, 10 or 15 seconds), night mode (there's no flash) and a burst mode which takes four pics in quick succession. Picture quality is reasonable within the camera's obvious limitations and with good light and reasonably static subjects it takes perfectly decent snaps. Video, as you might expect, isn't up to the standard of the stills and isn't really worth bothering about unless movement is on the slow side and in very good light. It's a quad-band phone, which makes it ideal for travelling, but unfortunately there's no 3G connection, and no Wi-Fi either, so the browser is really only much use in an emergency, and you'll need a bit of patience if you're downloading tracks or games. It comes with two 3D games incidentally – 3D Rollercoaster and Sony Ericsson warhorse Quadrapop. The battery stood up well to our moderate phone and music playing use, giving us a good three days including about an hour and a half of music play. We like phones to do what they say they can, rather than promising us the earth and drowning in a sea of half-baked features and muddled functionality. 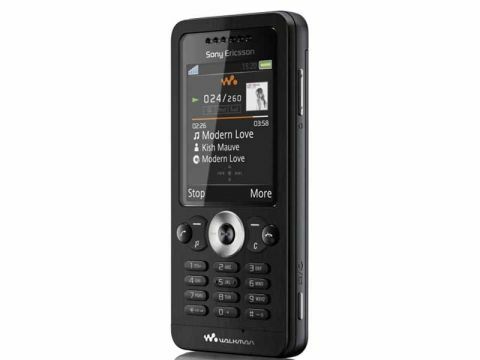 The Sony Ericsson W302 gives you a very good music player in a petite slimline casing, with a cheap but better than average camera and, limited internet facilities. But if you can live with that, and want a phone with a price and sound that's music to your ears, look no further.